The truly exciting news was announced at the Archives nationales on Tuesday that the archives of the Compagnie des Indes are now available online. Not a few people in Louisiana and Mississippi today are descended from people who sailed from France to la Louisiane on ships of the Compagnie des Indes. For quite a while, volunteer members of the Association des Amis du Service historique de la Défense à Lorient have been transcribing and indexing the records of the Compagnie des Indes. Lorient, being much dedicated to it, also has a superb Museum of the Compagnie des Indes. It is the online access to detailed records, however, that is so exciting. Orientations historiques - a couple of brief paragraphs with three PDF downloads: two essays by René Estienne: "Lorient et les Compagnies des Indes 1666-1794" and "Les archives des compagnies commerciales et la traite : l'exemple de la Compagnie des Indes", and by Alain Morgat : "Traite atlantique, cartographie et navigation". Archives du port de Lorient- a brief explanation of how the port was created specifically for the shipyards of the Compagnie des Indes, and of the miraculous survival of the archives through World War Two. There are links to the sub-series lists of the archives. Armament des navires - an explanation of the archives on the fitting out of ships and another essay by René Estienne : "Les Armements au long cours de la deuxième Compagnie des Indes (1717-1773)" then a wonderful ability to search by the ship name and get its entire history, including crew, passengers and log books, where these survive. 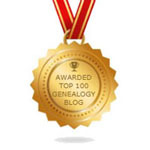 Equipages et passagers - graciously apologising for having "only" 111,000 names, and not all of those on all of the lists, the site offers here what will surely thrill many genealogists in Louisiana, Pondicherry, Martinique and other locales. The search form requires either a first or last name, during any stretch between the years 1720 to 1770, and then brings up a list of results with name, age, nationality, rank and pay, notes, ship, years of the voyage. The original records are not online in most cases. Cartes nautiques - the search form allows one to access the data of over 470 plates from five atlases of nautical maps.